Custom HDP Name Plate 5" x 2"
Medium - 30" x 21.5"
Medium Size Dog Kennel 21.5"W x 30"L x 24.25"H. Black or White. Large - 34" x 23.25"
Large Size Dog Kennel 34"L x 23.25"W x 28"H. Black or White. 5 ft. Secure Storage Drawer for full size pick-up trucks. 47" W x 57" L x 10"H. Carpet Top. 5 ft. Secure Storage Drawer for mid-size pick-up trucks. 42" W x 57" L x 10"H. Carpet Top. 5 ft. Secure Storage Drawer for mid-size pick-up trucks. 42" W x 57" L x 10"H. Rubber Top. 6 ft. Secure Storage Drawer for full size pick-up trucks. 47" W x 68" L x 10"H. Carpet Top. 6 ft. Secure Storage Drawer for mid-size pick-up trucks. 42" W x 68" L x 10"H. Carpet Top. 6 ft. Secure Storage Drawer for full size pick-up trucks. 47" W x 68" L x 10"H. Rubber Top. 6 ft. Secure Storage Drawer for mid-size pick-up trucks. 42" W x 68" L x 10"H. Rubber Top. 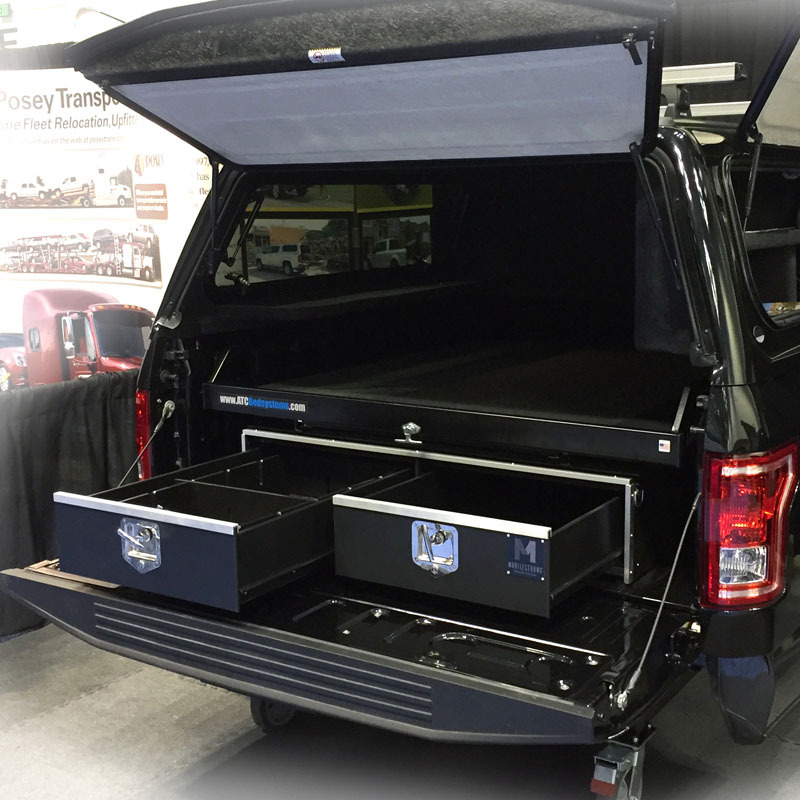 1 Over the Wheel Well Storage Drawer for pick-up trucks & 40"W Bed Floor Slide System.